Game Yitien - is a browser fantasy game about Chinese animation. You will play the game and learn Yitien two legendary weapons held quests, fight against other players to master the subtleties of camouflage, as well as get additional bonuses. 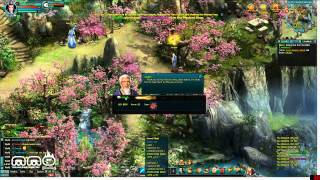 Yitien online game is a turn-based MMORPG game, which was created based on the novel of the writer Gu Long. The idea is that only one player can overthrow the tyrant and bring peace and order to Ancient China! With this player you can be! Before playing Yitien, make sure your computer meets the system requirements such as: frequency of the processor - 2GHz, 1GB RAM, Video card - 128 MB. Join in a game Yitien not take a lot of time and easy: 1. On the main page, select the item «sign up»; 2. Enter the username; 3. Enter a secure password, and repeat it; 4. Enter a valid e-mail; 5. Write your date of birth; 6. click «Submit» Yitien and registration is over. 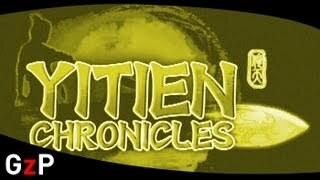 Yitien online - is a browser-based RPG game from R2Games. Fine works of art, successful sound effects and plot make this game very interesting, but the action is slow and slightly long-winded story, unfortunately, can reduce the pleasure of Yitien online. There is no doubt in Yitien to play - it's very interesting. In the world of games Yitien online you will not only face more distinctive characters from different walks of life, but can also wander and explore the lands and places rich Chinese aesthetics. In addition, almost every place itself in game Yitien has a particular cultural tradition. Peach blossom island, Emei Mountain and other famous places familiar to millions of Chinese lovers, as each of these places, or depicted as a symbol of martial arts schools or described as a sacred place where the Kung Fu master once lived. In addition to these common places marked on the map, some structures such as temples, walkways and might also refer to the Yitien online game. The plot of the game unfolds Yitien for a long time to keep players on their toes and generate interest. Numerous quests send you to a variety of places where you can consult with various symbols to defeat the villains, pirates or ask advice from the students, and so etc. Yitien online game features three classes, namely: warriors with high protection and good health, sword dancers with good attacking abilities and healers with the ability to heal themselves and friends. For each class characterized by different attributes in terms of attack, defense, and power strokes. Completing each quest Yitien online rewards you with some experience points, and when your experience points will fill the indicator at the bottom, then you will open new equipment and upgrades. You also get a pet in the game Yitien or vehicle in time, that will accompany you throughout the game world Yitien online. The game has an arena where you can challenge other players to win the honor and glory. Recovery occurs after the battle, but the game currently Yitien can be avoided if you are willing to spend a few bars. You can also challenge the masters of the various sects Hong-Fu to win a medal hero. In order to improve the attributes of your avatar in the game Yitien, you can find Meridian, it will be very useful! All prizes, awards, honors, and fame can buy a lot of tempting items that you can buy at the store to give you an extra edge in battle Yitien online game.